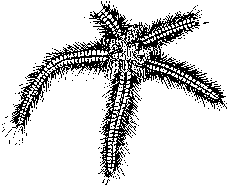 Murchison could afford to publish the lavishly illustrated The Silurian System by raising private subscriptions in advance. 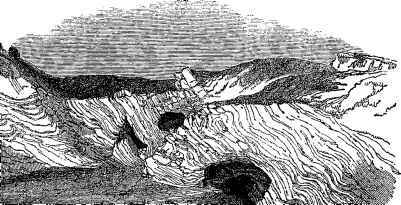 Here, a woodcut depicts the Silurian Wenlock Limestones near Ironbridge from which the carbonate rock has been quarried for use in the local iron industry. 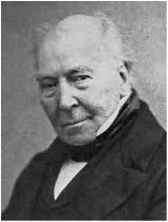 William Henry Fitton, 1780-1861, Irish-born physician who practised in Northampton. He also studied with Jameson in Edinburgh and devoted himself to geology, determining the succession of strata between the Oolite and Chalk (1824-36), for several years was secretary and then president of the Geological Society of London (1827). Although he did acknowledge some of the help he received, Murchison was sparing in his admission of just how much groundwork had already been laid down by a number of investigators in the region. He claimed in his introduction to The Silurian System, the book he wrote in 1839 synthesising his work in Wales, that 'having discovered that the region formerly inhabited by the Silures ... contained a vast and regular succession of undescribed deposits of a remote age [I had] named them.' He went on to say that 'no one was aware of the existence below the Old Red Sandstone of a regular series of deposits containing peculiar organic remains', which was seriously economical with the truth. Arthur Aitkin, 1773-1854, chemist and mineralogist, founder member of the Geological Society of London in 1807 and author of manuals on mineralogy and chemistry. Rev. Thomas Taylor Lewis, 1801-58, Cambridge-educated Shropshire vicar, antiquary and geologist who showed Murchison the stratigraphie succession below the Old Red Sandstone. Travels, Campaigns and Adventures of Baron Munchausen, who discovered lead ores near Shrewsbury in the 1780s. Historians of geology, such as Hugh Torrens, have recently pointed out that there is a discrepancy between our knowledge of the history of practical geology in Britain and the development of its more academic theories. And yet, the Industrial Revolution began well within the latter part of the eighteenth century. Indeed, mining and quarrying for economically valuable materials ranging from tin, copper and gold to coal was well established in certain localities in Roman times. Since the Industrial Revolution was so dependent on geological materials, how is it possible that it should have succeeded so spectacularly in Britain when it was apparently in advance of the theorising and published maps and information about the distribution of geological rock materials of economic value? There must have been a considerable body of knowledge held by practitioners who were operating outside of the gentlemanly cliques of the metropolis and the few universities that 'indulged' in science. Rudolf Erich Raspe, 1737-94, German mineralogist and keeper of the landgrave of Hesse's antique gems, which he stole. Fled to England, he worked (masqueraded) as an expert on mines and minerals and wrote the Singular Travels, Campaigns and Adventures of Baron Munchausen (1785). not concern Murchison. Murchison saw Aikin's notes and drawings; indeed he was still repeating Aikin's confusion of the Wenlock and Aymestry Limestones as late as 1833. The geological situation that confronted Sedgwick was much more complex. Not only are the strata of North Wales difficult to subdivide because so many of them look similar in the field and generally lack fossil content, but they are often highly deformed by folds and displaced by faults. Sedgwick struggled to make sense of the order of the strata and, in the absence of fossils, was largely dependent on trying to match similar-looking kinds of strata between separate outcrops, a notoriously difficult and unreliable procedure. Even when he did find fossils, he was not so assiduous as Murchison in identifying them and did not at first have a supporting network of specialist 'helpers' in the way that Murchison did. Sedgwick was the only geologist in Cambridge at the time, whereas Murchison was in London where he could call on a number of experts. Sedgwick had essentially been trained in the Cambridge mould as a mathematician and cleric; he had little or no biological background. But then very few British geologists did: geology was seen as a physical science and few of the geologists who studied fossils had much biological training, unlike many of the continental palaeontologists. Palaeontology in Britain was largely seen as a 'handmaiden' to stratigraphical geology. The only real biologically minded palaeontologists were scientists like Richard Owen, who mostly studied vertebrates and did not much concern themselves with stratigraphy or field geology. Nevertheless, by 1835 both Murchison and Sedgwick were convinced that they had each recognised distinct new systems of strata that should replace the old Transition Series. Sedgwick named his the Cambrian, after the Roman name for Wales (Cambria), and distinguished it as a series of strata lying above the Primary rocks of Anglesey and below Murchison's Silurian System, which was named after a Romano-Celtic hill tribe, the Silures. At first, Sedgwick and Murchison were happy that they had found a mutual boundary between the two systems that was geologically secure, but it did not stay that way for long. In their haste they did not pay enough attention to firmly securing the upper boundary of the Cambrian with the base of the Silurian, and there was some confusion about it right from the start, a fact that they both tended to gloss over. But it was Sedgwick's initial failure to list the characteristic fossil fauna of the various subdivisions of his Cambrian that allowed the subsequent conflict over the definition of the boundary to escalate. Both systems were predominantly comprised of marine deposits and so their fossils recorded the kind of life that inhabited the seas of the time. The few fossils that Sedgwick found to begin with in the Cambrian were in later years supplemented by more detailed investigation of the strata. Murchison, like Sedgwick, was no palaeontologist, so he recruited specialists such as J. de C. Sowerby, who had general expertise in identifying invertebrate fossils, J. L. R. Agassiz, a Swiss glaciologist and expert on fossil fish, and W. Lonsdale, another ex-military man and pioneer in the identification of fossil corals. 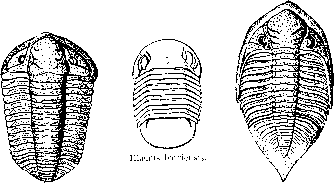 With their help, Murchison was able to provide good-quality illustrations, descriptions and lists of his abundant Silurian faunas in his famous three-part work of 1839, The Silurian System. James de Carle Sowerby, 1787-1871, English professional naturalist, artist and collector of fossils, worked with his father James (1757-1822) and brother George (1788-1854) on numerous published compilations of illustrated natural history. As early as 1836, propagation of the term Silurian was helped by its use in a number of popular geological books, such as Buckland's 'Bridgwater Treatise' on Geology and Mineralogy (1836) and the first American edition of Lyell's Principles of Geology (1836). 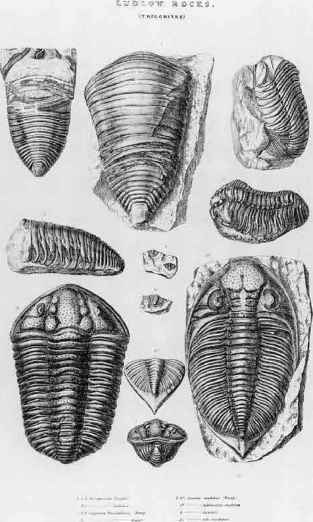 By 1838, Silurian fossils were identified as far away as the Falkland Islands by Charles Darwin when he visited the islands during the voyage of the Beagle. Darwin had learned what expertise he had in field geology from Adam Sedgwick just before he embarked on his Beagle voyage. 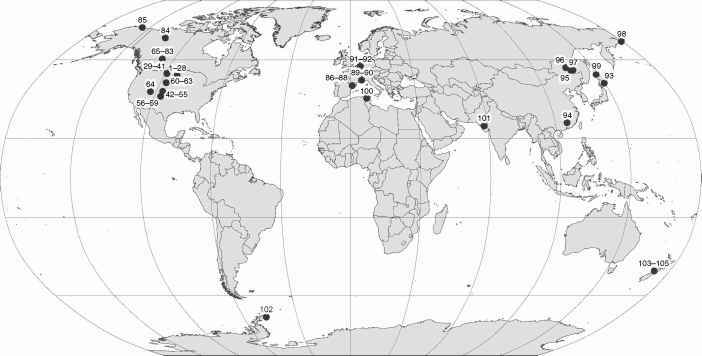 Repeated depiction of typical Silurian fossils in different publications helped promote the Murchison's Silurian as a recognisable system of strata and period of Earth Time beyond the British Isles. of life within the Silurian. He was able to do this because by this time he had already reduced Sedgwick's Cambrian to a minor subdivision in the lower part of a greatly enlarged Silurian System. The book went into a number of editions over the years and its wide distribution helped promote acceptance of the Silurian System both nationally and internationally.